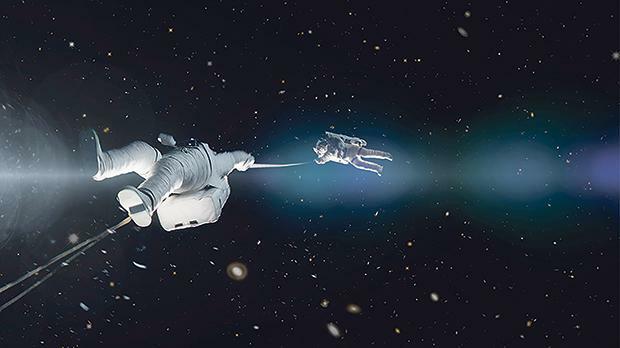 Alfonso Cuarón’s 2013 sci-fi thriller Gravity will be screened at St James Cavalier Cinema, Valletta, tomorrow at 7pm, followed by a discussion on issues raised by the film as part of the ĊineXjenza programme of events. The film plot centres on two American astronauts who are stranded in space after the mid-orbit destruction of their space shuttle, and their attempt to return to earth. Ryan Stone (Sandra Bullock) is a medical engineer on her first space mission, accompanied by seasoned astronaut Matt Kowalski (George Clooney), who is leading his last operation before retiring. Their mission is jeopardised when a Russian missile hits a nearby satellite, resulting in a chain reaction of exploding space debris which inflicts irreparable damage to the shuttle. The astronauts’ only chance of survival is to reach another space station. But they are short of oxygen and fuel. Throughout Gravity the protagonists are often on their own, leading to an extreme feeling of isolation. This leads to individual questions and ultimate decisions about their own mortality and what may be best for the other at the expense of oneself. ĊineXjenza consists of a series of science cinema events that aims to encourage discussion on topics related to science and society. After the film screening members of the audience are given the opportunity to explore the science, share their views and critically analyse issues raised in the film. The discussion is an open forum and experienced science communicators and specially selected experts from the University of Malta facilitate the dialogue between the audience. CineXjenza is supported by the STEAM project. It is run by the Malta Chamber of Scientists, in collaboration with Spazju Kreattiv. Gravity will be screened tomorrow at 7pm at St James Cavalier Cinema, Castille Place, Valletta, followed by a ĊineXjenza discussion until 11pm. The 91-minute film is certified 12A. Wine and light refreshments will be served during the discussion. Admission is free.